Scroll down for history and dance notes. Thanks to David de Groot Photography for the exceptionally beautiful images. A charity event in aid of the Leukaemia Foundation. 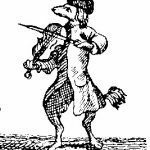 A grand evening of early colonial/Regency style dancing to the music of Phillip’s Dog. Z9 building on the corner of Kelvin Grove Road and Musk Avenue. Level 3. Room 340. Will be signposted. Attendance at the workshops is included in the ticket price for the ball. People not attending the ball are welcome at the workshops too, cost $10.00. 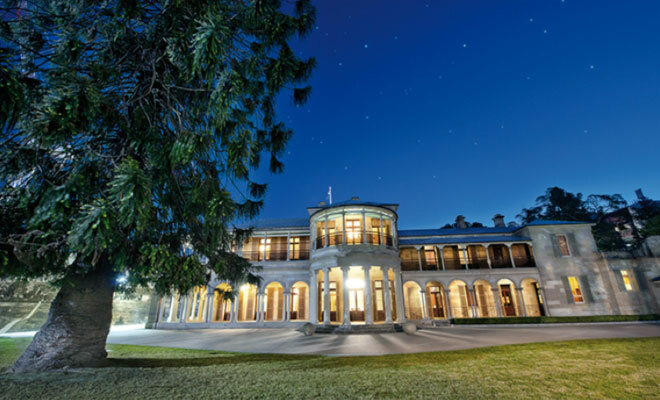 The Grand Colonial Regency Ball for the Leukaemia Foundation was held at Old Government House – Brisbane’s most important heritage building. 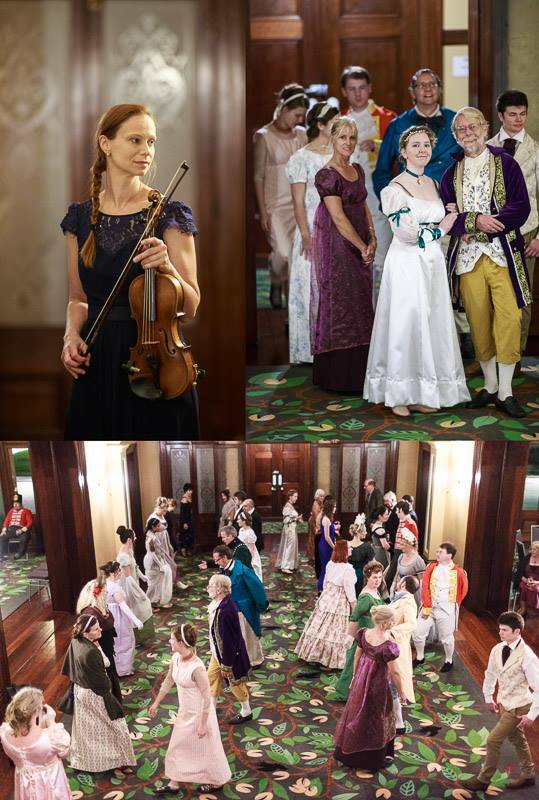 The ball was held in conjunction with the Redcoats of Moreton Bay exhibition at the Redcliffe Museum. From the first European settlement at Redcliffe in 1824 to the departure of the last Imperial detachment in 1869, British Army ‘Redcoats’ played a key role in Moreton Bay. The exhibition follows the journey of these British soldiers within the convict establishment that operated in Moreton Bay until the 1840s, and their different experiences after free settlement. Redcoats of Moreton Bay has been curated by historian Jeff Hopkins-Weise in partnership with Moreton Bay Regional Council. We presented a Heritage Talk with music as part of the exhibition. Dance was an important element in the social life of British Regiments. At the highest level, officers would hold grand balls, inviting the local high society; and at the lower levels, dance was a way for soldiers to unwind and relax. As well as the social aspect, dance was recognised as a useful means to promote balance, agility and endurance – all essential qualities for a well-trained soldier. This talk will explore this fascinating aspect of military history and its relevance in the settlement of Moreton Bay. This romantic portrayal of the Duchess of Richmond’s ball was painted many years later in the 1870s by Robert Alexander Hillingford. 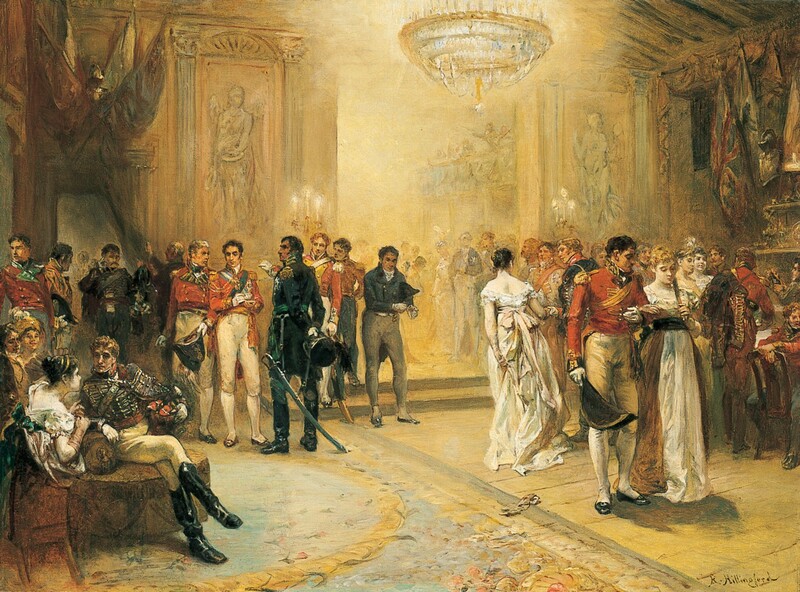 On the eve of the Battle of Waterloo, the Duchess of Richmond held a ball in Brussels – the most famous ball in history. Brussels in 1815 was a vibrant centre for elite British families who enjoyed a genteel lifestyle without the expense of such a life in England. Brussels offered a constant round of balls and parties, with regimental bands supplying music for promenading in the gardens and dancing in the ballrooms. Dancing lessons were readily available, and cheaper than in England, and many of the officers and their families took advantage of the opportunity to become accomplished in the latest fashionable mode. Travel to the continent had been impossible in the years following the French Revolution and then the Napoleonic Wars. Now Europe was open again and the English flocked to relish in the Continental delights of which they had been denied. 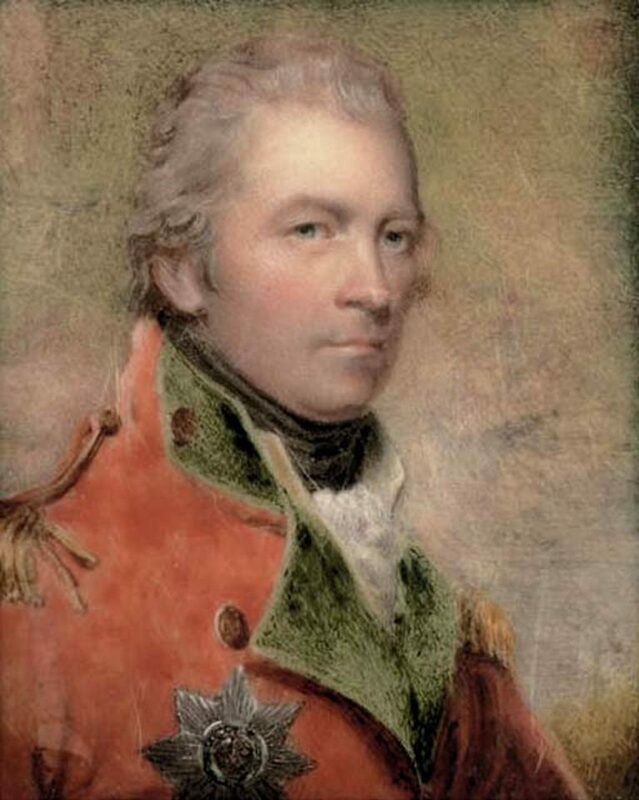 Charles Lennox, 4th Duke of Richmond was in command of the reserve forces to protect Brussels from Napoleon. Charles and Charlotte Lennox, 4th Duke and Duchess of Richmond had moved to Brussels after Napoleon had been exiled to Elba in 1814. For six years previously Charles had held the post of Lord Lieutenant of Ireland and whilst in residence, the Duchess hosted regular balls in Dublin. Now the Duke of Richmond was in charge of the reserve military force protecting Brussels, lest the restored Napoleon should be victorious. Again the Duchess was planning a grand ball. The Battle of Waterloo was fought on Sunday, 18th July 1815 about 16 km from Brussels. In the evening an interesting and gay assemblage of Ladies graced the Room fitted up on this occasion for a Ball and Supper, at the New Government Hospital, in consequence of those at Government House not being sufficiently spacious. The enchanting effect produced by the decorations of the Ball Room (which we understand had been executed under the tasteful direction of an Officer of the 46th Regiment) animated every countenance with delight, and excited a general expression of admiration. – The floor was painted with emblems of martial glory, and various other devices, but we were particularly attracted by the figure of Fame, in the centre of the floor, sounding her trumpet, and holding in her right hand a scroll, whereon were inscribed “WATERLOO, WELLINGTON, and VICTORY,” most peculiarly appropriate, on account of the important and gratifying intelligence which had only that morning arrived, of the recent successes of our Arms under Field Marshal the Duke of WELLINGTON. – From the arches and pillars with which the Room was ornamented, the Stars, Insignias, and Mottos of the several British Orders of Knighthood were displayed, whilst the Royal Arms appeared at the upper end of the Room through an elegant transparency. – Native shrubs, ever-greens, and flowers, collected from the rich stores of abundant Nature, hung in graceful festoons around, and formed upon the whole a scene almost rivalling those Arcadian bowers so celebrated in the pages of poetry. Upward of one hundred and twenty ladies and Gentlemen sat down to an elegant Supper in the adjoining Room, and enjoyed the festivities of the social board until again summoned to resume the sprightly dance, which continued to a late hour in the morning, when the Company retired, highly delighted with an entertainment, in point of taste, conviviality, and harmony, even surpassing any of those we have heretofore so frequently endeavoured to convey some idea of to our Readers. The Sydney Gazette and New South Wales Advertiser (NSW : 1803 – 1842) 20 Jan 1816 <http://nla.gov.au/nla.news-article2176514>. Sydney, January 1816. “An interesting and gay assemblage of Ladies graced the…Ball and Supper, at the New General Hospital” to celebrate the British victory at Waterloo. 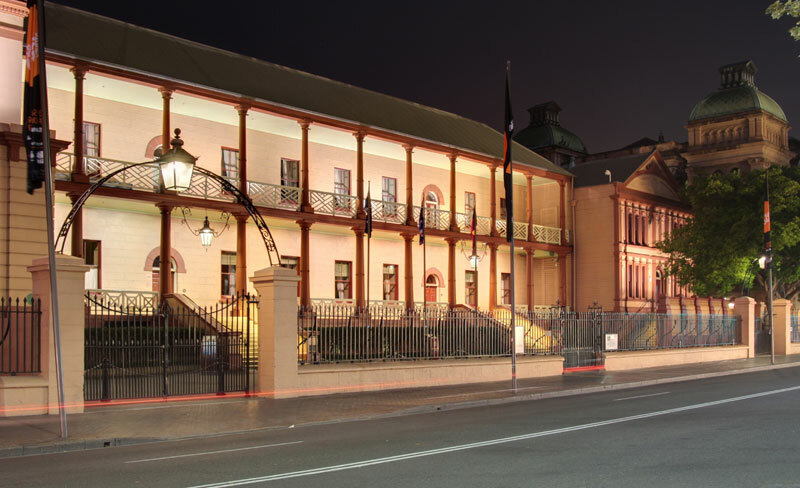 Today this building is home to the New South Wales Parliament. 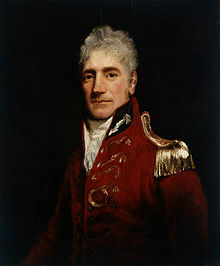 Lachlan Macquarie, 5th Governor of New South Wales hosted the 1816 ball in Sydney. He would have been elated his celebrate his friend’s victory. Lachlan Macquarie, 5th Governor of New South Wales, presided over the Sydney ball. 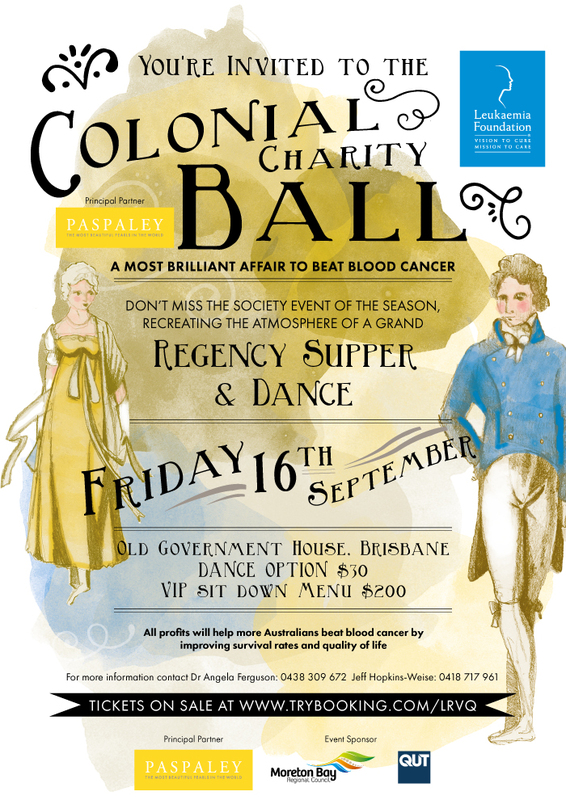 As governor of the colony, the hosting of balls was an important aspect of his position. In this he had the experience, particularly from his time in India, where he was involved in committees to organise dances and assemblies. Dancing played a significant role in society at the time and the colonies in both India and Australia sought to maintain this status quo. Sir Arthur Wellesley, the future Duke of Wellington, had known Macquarie in India and accounts show that both men were keen dancers – Macquarie’s diaries list numerous dances and balls, and Wellesley went so far as to keep a portable marquee dedicated to dancing. In 1808 Wellesley supported Macquarie in his appointment as governor. Macquarie must have been delighted to be able to celebrate his mentor’s victory at Waterloo. For the Duke of Wellington dancing was a serious recreation and he judged his officers on how well they could dance: poise, agility, balance, memory, strength, spatial awareness, interaction with others, and presence were all aspects of an accomplished dancer. While in Brussels “he was forever giving balls”: he had held a ‘grand rout’ on 8 June and was organised to hold a magnificent ball on 21 June in the week following the Duchess of Richmond’s ball to celebrate the anniversary of his victory at the battle of Vittoria two years earlier. 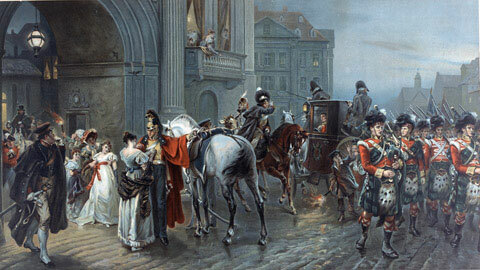 In the event, the next grand ball he gave was after the Battle on 1 August in Paris, attended by the allied leaders and the newly reinstated Louis XVII. 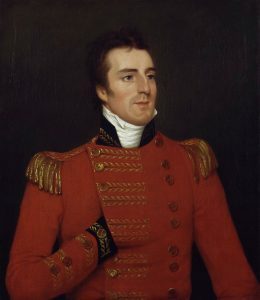 Sir Arthur Wellesley, 1st Duke of Wellington, one of the leading military and political figures of 19th century Britain was also a powerful dancer. The history of a battle is not unlike the history of a ball. Some individuals may recollect all the little events of which the great result is the battle won or lost, but no individual can recollect the order in which, or the exact moment at which, they occurred, which makes all the difference as to their value or importance. Lady Mary Fitzroy and her sister, Lady Sophie Lennox. 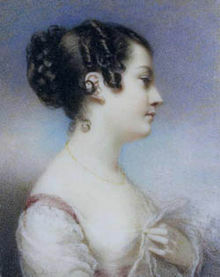 This picture shows Mary at around the time of her marriage in 1820 to Charles Fitzroy. Lady Mary Lennox was the eldest daughter of the Duke and Duchess of Richmond. At the famous ball in Brussels she was aged 25. Also present at the ball was the 19 year old Charles Fitzroy, an aide-de-camp on Wellington’s staff. Did this young couple meet on the night of the ball? They were married five years later in British North America where the Duke of Richmond had been the appointed Governor General. In 1845, Sir Charles Augustus Fitzroy became the Governor of New South Wales and with Lady Mary brought an aristocratic air to the colony. 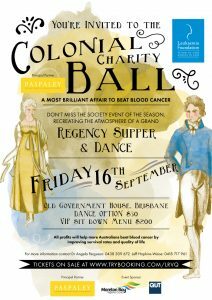 Their memories of the Duchess of Richmond’s ball must have come to mind when planning high society balls in the colony. Unfortunately, Lady Mary had a limited time to charm Sydney society as she was killed in a carriage accident in the grounds of Government House, Parramatta in 1847. Georgiana Huntly McCrae had an outstanding heritage of music and dance when she settled in Melbourne in 1840. 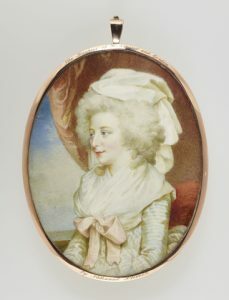 Georgiana McCrae was the niece of Charlotte, Duchess of Richmond and the first lady of gentility to settle in Melbourne. She was the ‘natural’ daughter of George Gordon, 5th Duke of Gordon and the grand-daughter of Jane Maxwell, the Duchess of Gordon. Both these notables were highly influential patrons of music and dance, and Georgiana maintained a love of music throughout her life. A substantial collection of her music pre-dates her immigration in 1840 and includes a large number of dance tunes. The dance La Georgina comes from her manuscript of music. 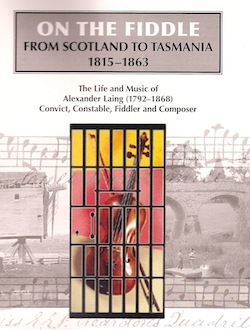 Steve and Marjorie Gadd in collaboration with Tasmanian Historian Peter MacFie have published “On The Fiddle’ The LIfe and Music of Tasmanian colonial fiddler Alexander Laing. Alexander Laing was a talented Scottish fiddler who enlisted in the Gordon Highlanders. He attained the rank of sergeant and fought in the Peninsular Wars before being convicted of stealing and transported to the colony. 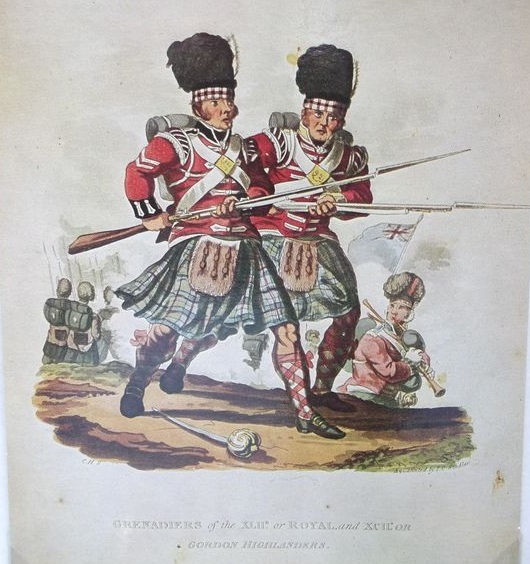 Although he was a convict in Tasmania at the time of the Battle of Waterloo, his manuscript of music includes many associated tunes: 92nd Gordon Highlanders March to Waterloo 1815, Wellington Waltz, Battle of Waterloo, 92nd Gordon Highlanders’ Quick Step, Highland Fling, and Copenhagen Waltz. His former comrades in the 92nd Regiment were the ones who displayed the Highland dances at the Duchess of Richmond’s Ball and later fought in the Battle of Waterloo. Alexander Laing’s music manuscript is held in the Tasmanian Archive Office. I well remember the Gordon Highlanders dancing reels at the ball; my mother thought it would interest the foreigners to see them, which it did. I remember hearing that some of the poor men who danced in our house were killed at Waterloo. There was quite a crowd to look at the Scotch dancers. 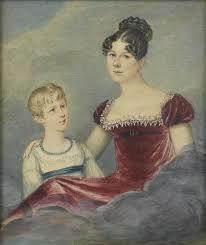 Lady Charlotte Lennox, Duchess of Richmond was the daughter of Alexander Gordon, 4th Duke of Gordon and Jane Maxwell. 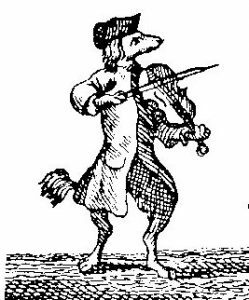 Both parents were highly influential patrons of music and dance: the Duke inspiring the famous tune The Marquis of Huntly’s Highland Fling and supporting the great Scottish fiddler and composer, William Marshall. 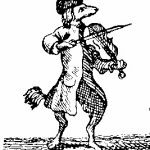 Jane, the Duchess of Gordon is credited with bringing Scottish dance to the court of George III thus making the Highland Reel famous throughout Europe, and developing the strathspey step. She is famed with helping to raise the Gordon Highlanders Regiment in 1794 with a kiss for each man who enlisted by holding the King’s Shilling between her lips. The Duchess of Richmond appreciated the Gordon Highlanders being present in Brussels and invited some of the regimental sergeants and pipers to perform at the ball. There is no record of the dance programmes from the Duchess of Richmond’s ball or the Sydney ball. This selection presents dances associated with the Battle of Waterloo and those in fashion at the time. 5-8 1st man turns 2nd lady by the right hand. 1-4 2nd and 1st couple circle left and right. 1-8 All join hands and circle left then right. Preston’s 24 New Country Dances for the Year 1797. 5–8 1st couple dance back into second place. 1-8 1st couple with 2nd couple dance rights and lefts. The Top of the Set is closest to the band. Bottom of the Set is furthest from the band. Always join at the bottom of the set. A line of gentlemen faces a line of ladies. A longways formation for as many as will with ‘minor’ groups of two couples, each couple progressing down or up to join a new couple for the next repetition (ones move toward the bottom of the set and twos move toward the top). In a duple minor longways set the numbering is from the top with ones and twos all the way to the bottom. Before the dance begins we take hands four from the top (ie. in groups of four people) to determine who is dancing with whom. Four couples are arranged with each couple forming one side of a square, all facing the centre of the square with partners standing side by side, lady on the gentlemen’s right. The couple with their back to the band and the couple facing them are the top couples. The two couples on the sides are the side couples. Stand beside partner, right shoulders together, right arm extended, left arm behind back. Link right elbows and join hands behind backs. Turn outward (away) from your partner and move along the outside of the set. Turn up when moving down and turn down when moving up. Form a ring by joining hands (a little below shoulder level) and dance once around to the left for 4 bars then circle to the right for 4 bars, ending back in original place. Exchange places passing R shoulders and turning to the R to face each other. All four women cross over giving each other right hands (star), and turn the opposite man by the left hand turn – repeat with the four women giving right hands in a star and returning to turn left hand with your partner. Take a small step to the right and bow or curtsy. Men bow. Women curtsey. It is customary to honour your partner at the beginning and end of each dance. Partners take hands and travel down the inside of the set. Partners take hands and travel up the inside of the set. This allows the couples to exchange places. As the 1st couple moves down (leads down) the 2nd couple moves up to make room for them. A figure for four dancers where each person travels forward alternating right and then left hands around a square: Face across the set and pass by giving right hands, face along the side of the set and pass by giving left hands, continue right hands across the set, left along the side( now you will be back in place. Each dancer will pass through the places of each of the other dancers in turn. Move directly from place to place without extra loops or turns. Spring sideways onto the right foot and bring the left beside it, briefly changing weight. [spring, beat, beat]. 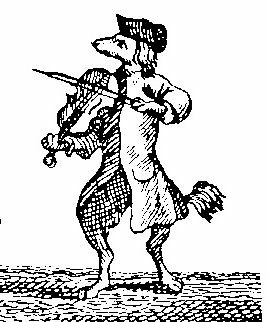 Now spring sideways onto the left foot, briefly changing weight [spring, beat, beat]. This is one complete setting step.